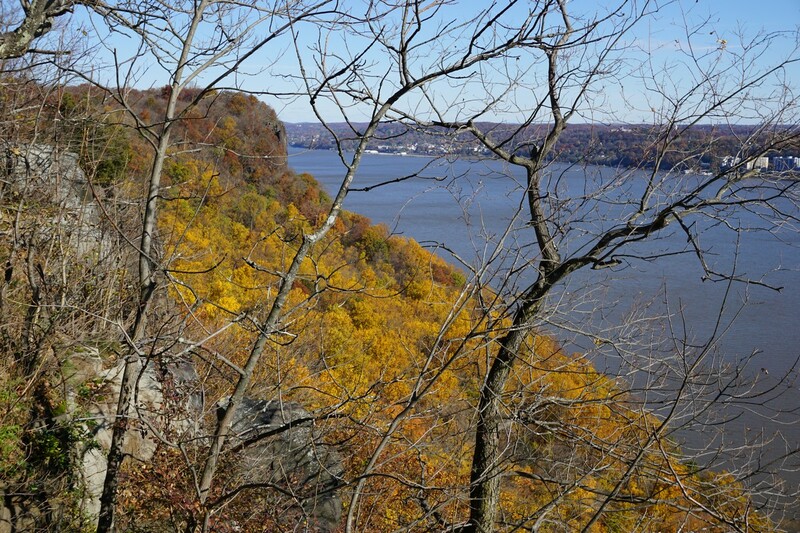 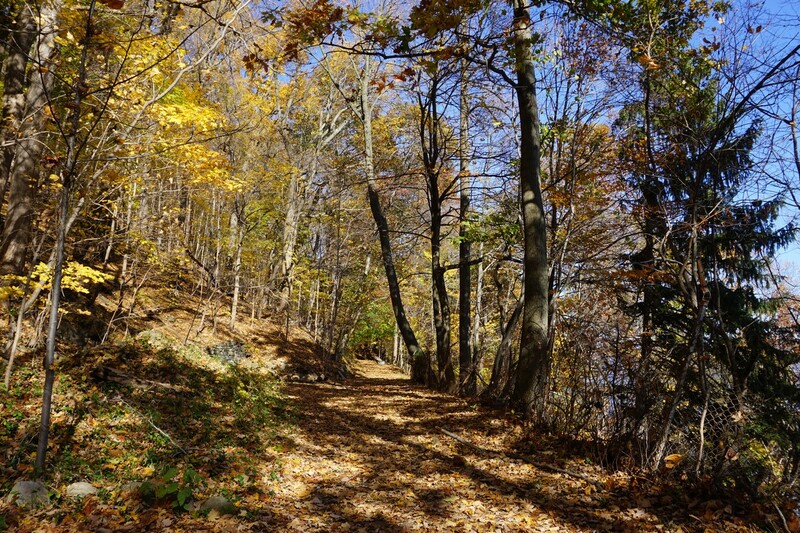 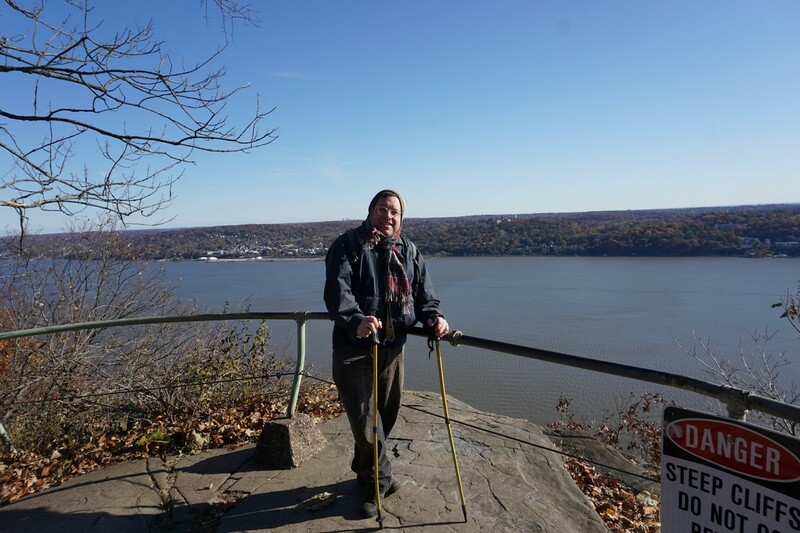 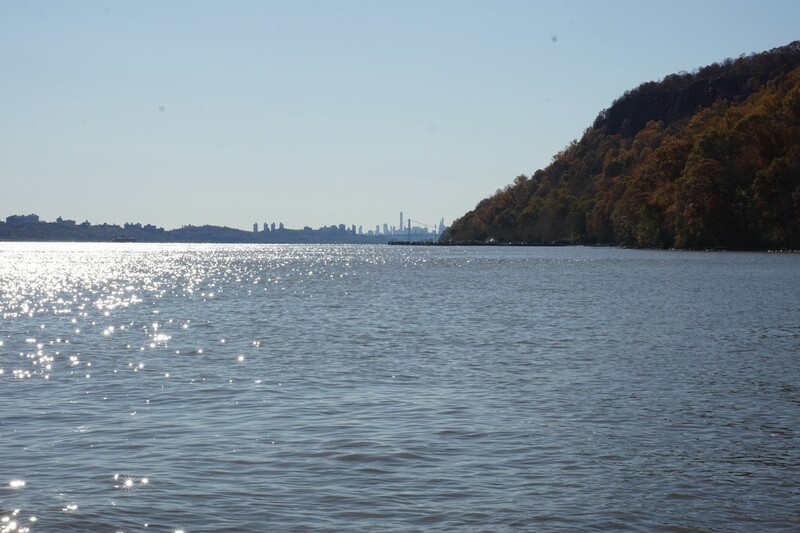 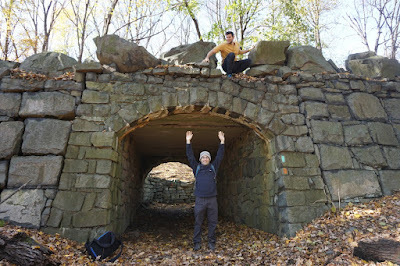 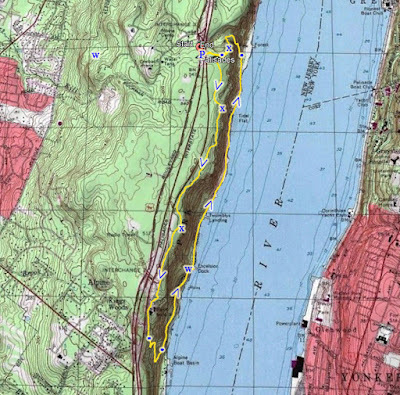 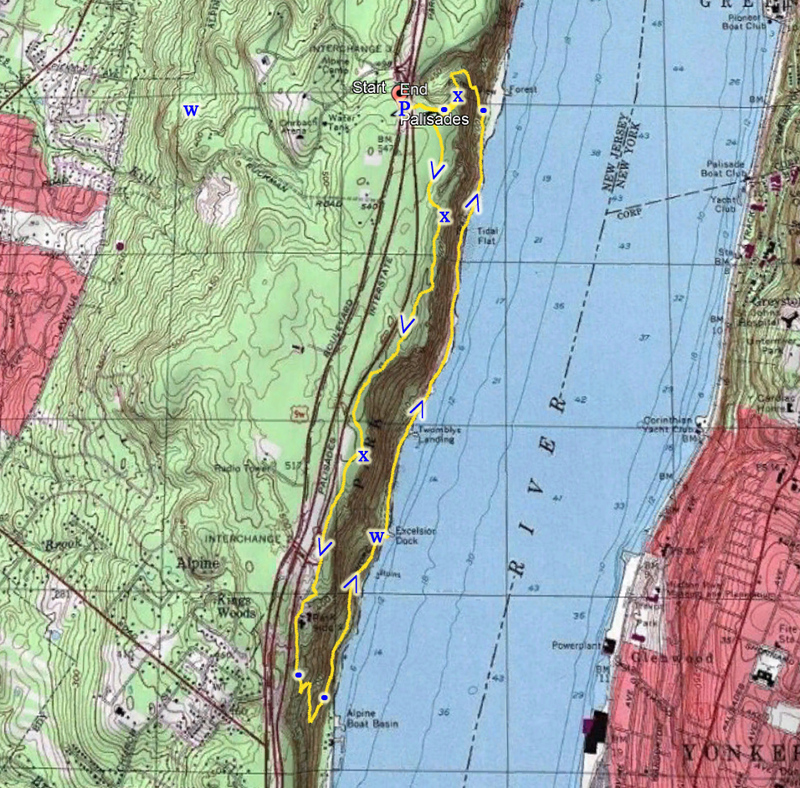 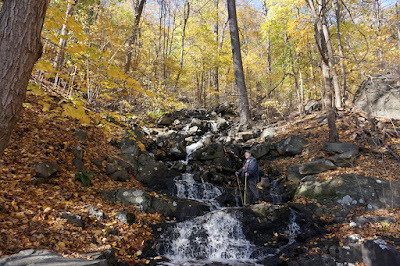 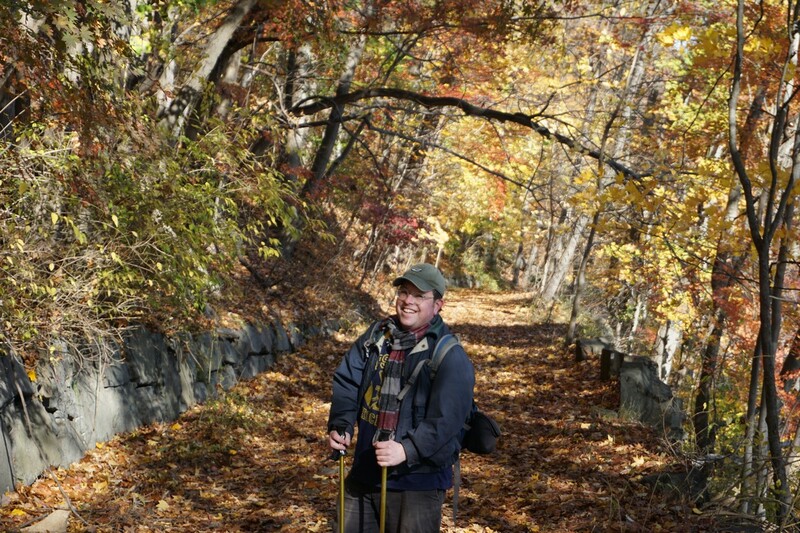 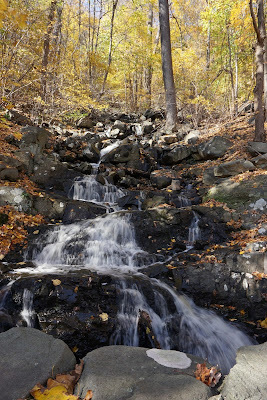 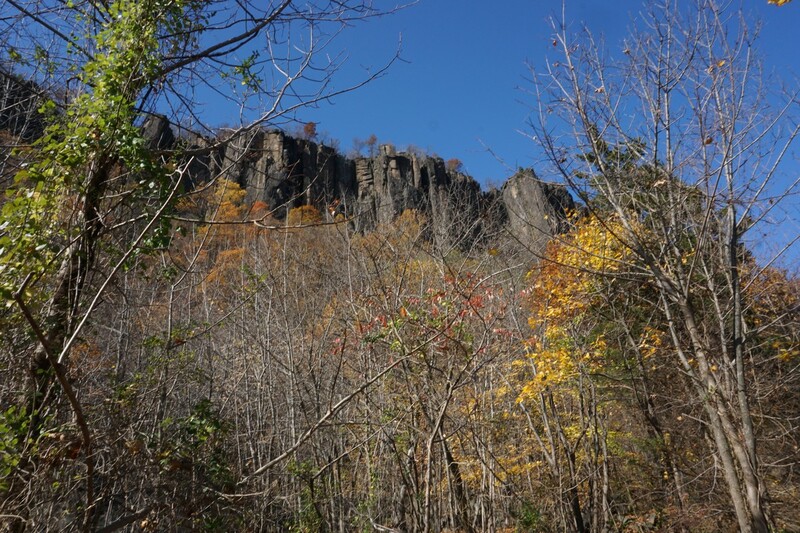 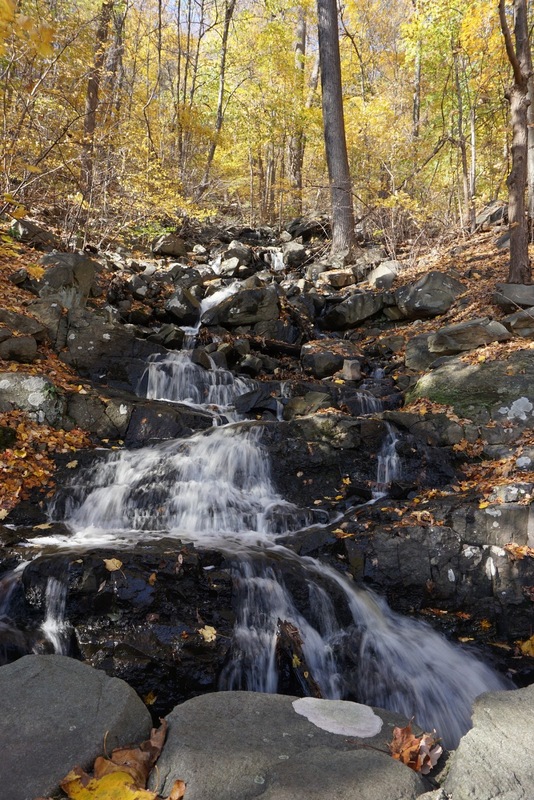 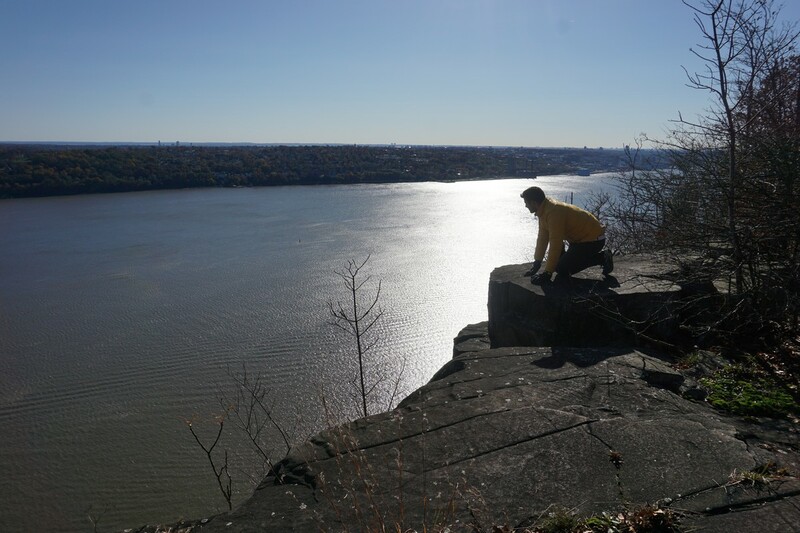 This was a late autumn hike, and was my completion of all the hikes along the New Jersey Palisades. 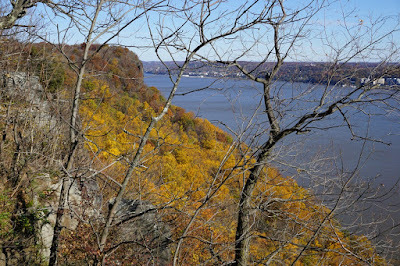 I had remembered that the previous year there was still much foliage in the area late in the season at the foot of the cliff, so I wanted to get one last seasonal fall hike with the foliage colors. I parked with Morty on Route 9W at the Forest View Trail trailhead, and met up with Elad who joined us. 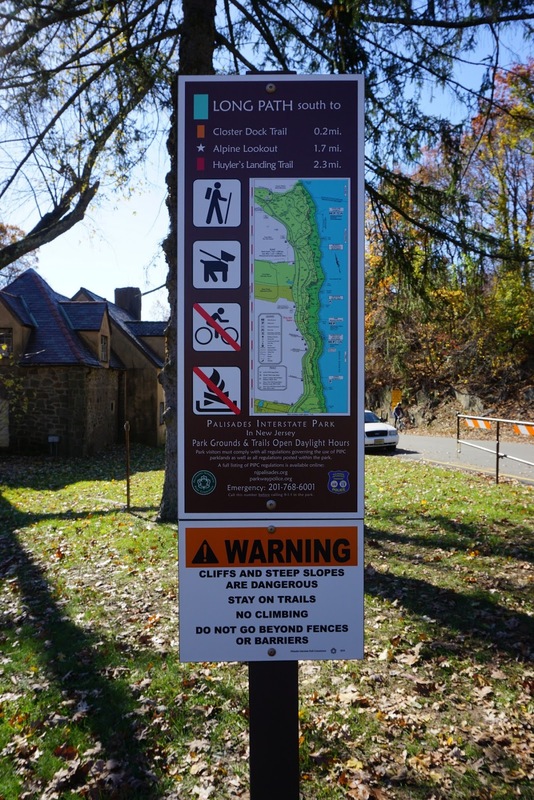 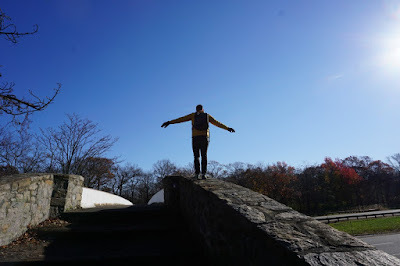 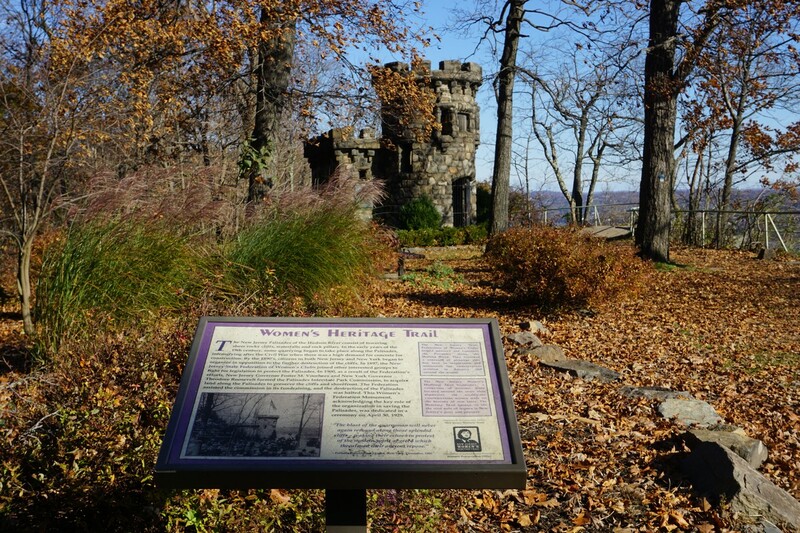 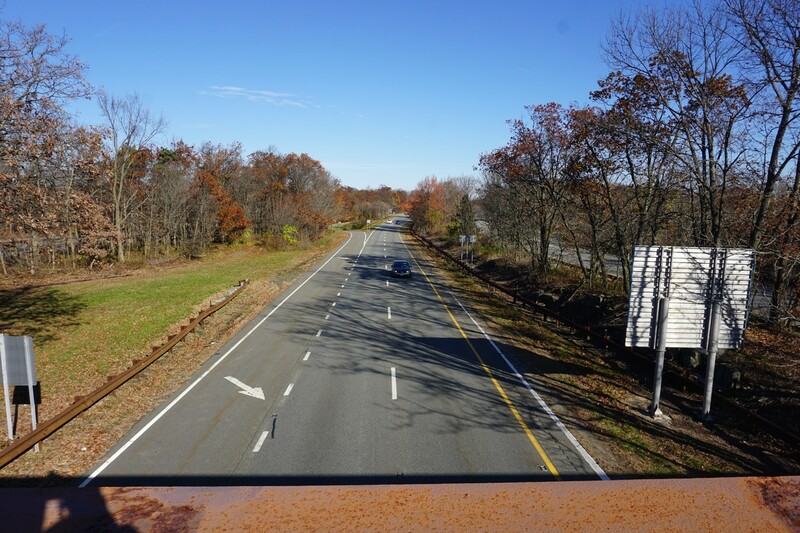 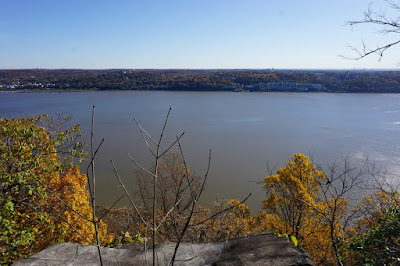 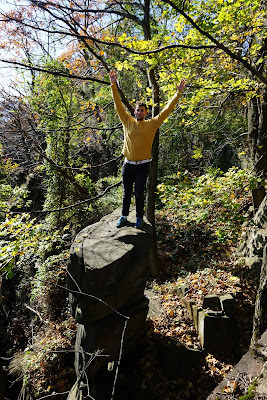 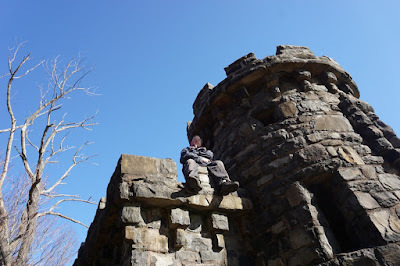 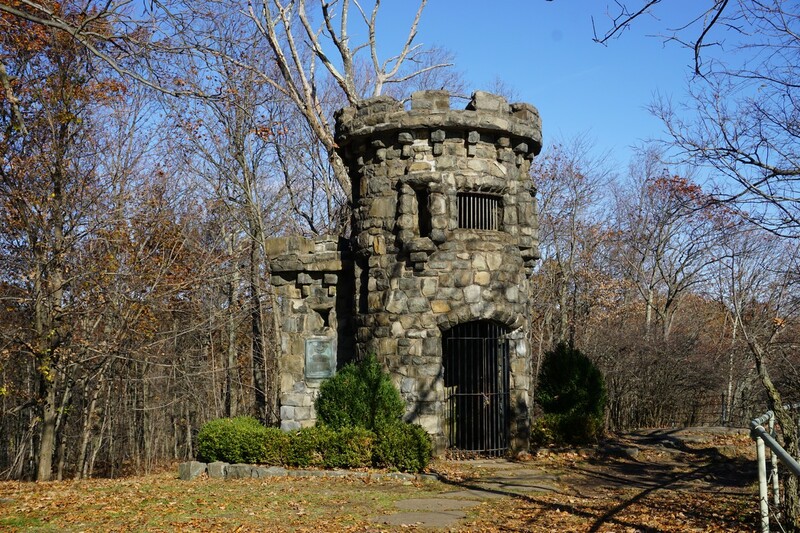 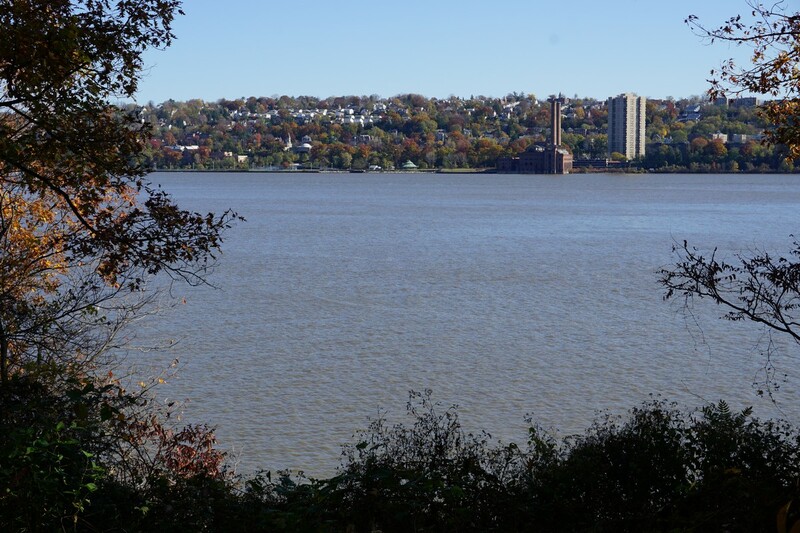 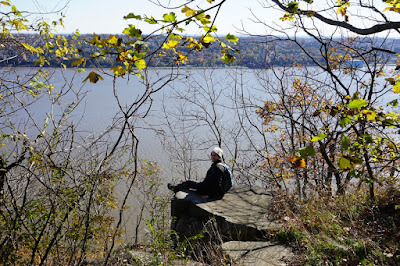 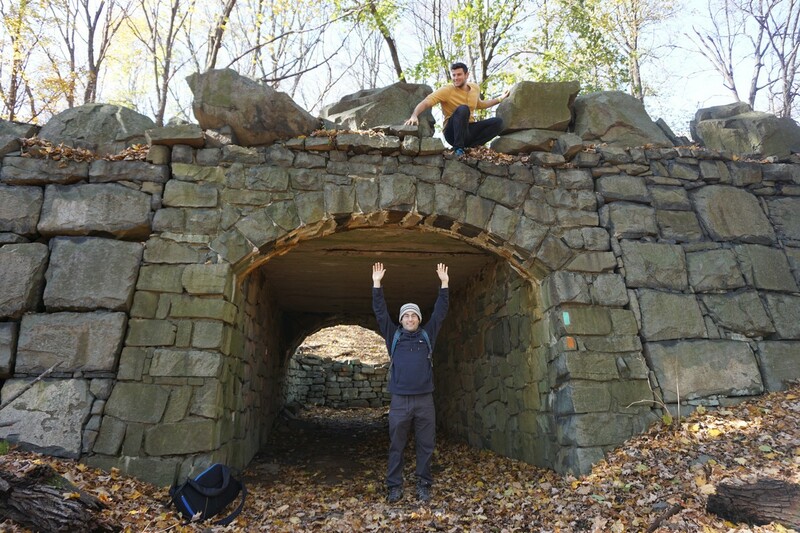 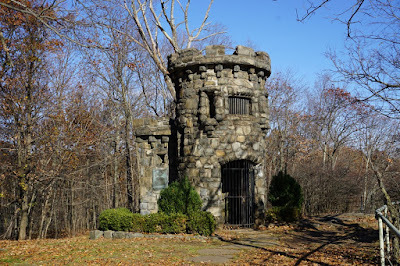 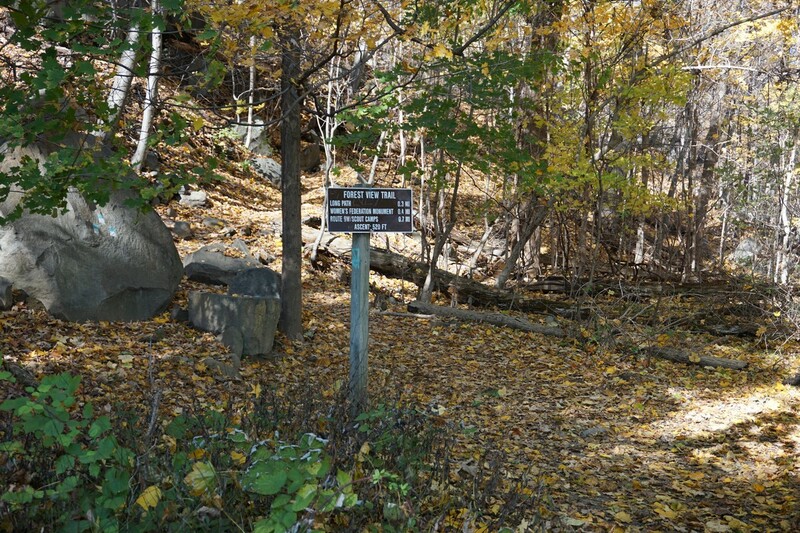 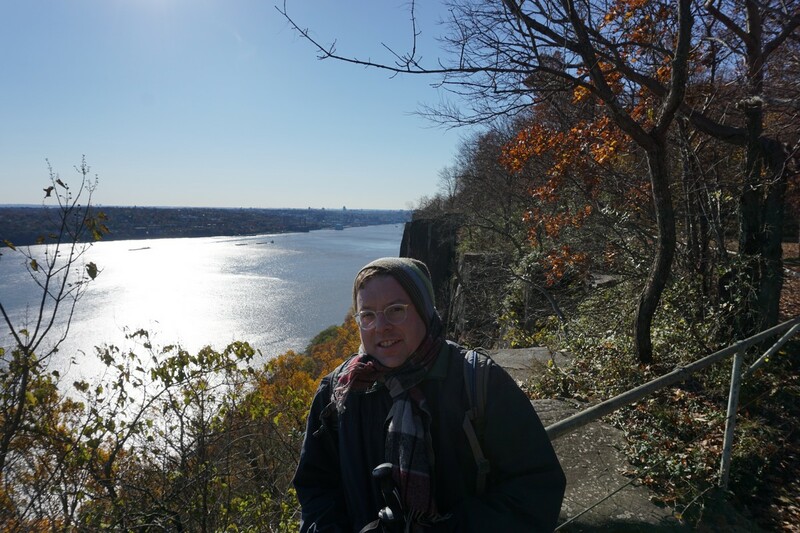 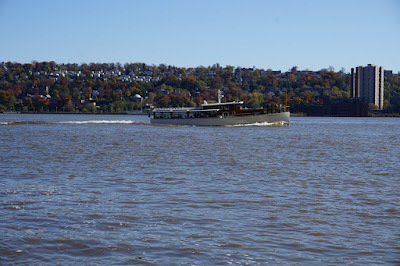 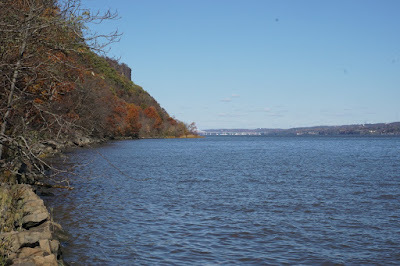 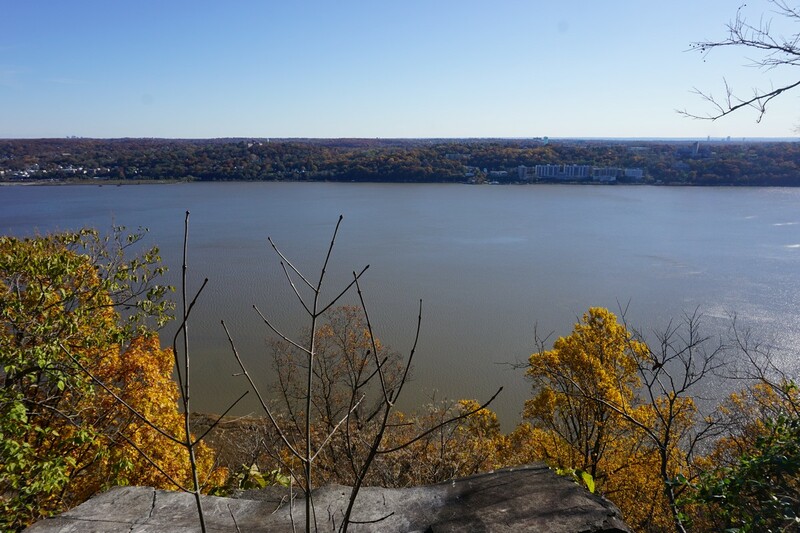 We crossed the pedestrian bridge over the Palisades Parkway, and went to the Women's Federation Monument, a small stone edifice right near the cliff edge. 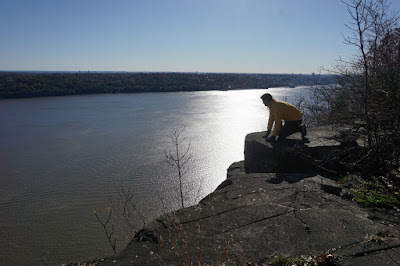 There are some great views hear above the steep cliff wall which is probably about 300 feet straight down. 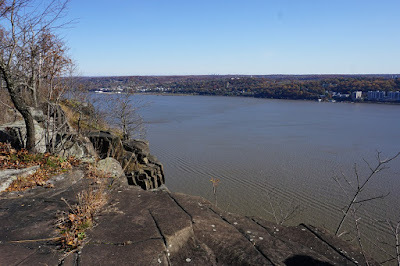 We took the Long Path South, and stopped briefly at the view at Ruckman Point, and then continued to Bombay Hook, which featured a narrow rock crevice with a small bridge above it, slightly off the trail. We continued along the Long Path, and shortly after the Palisades police station we took the Closter Dock Trail, which snakes down the steep hill to the Shore Trail. 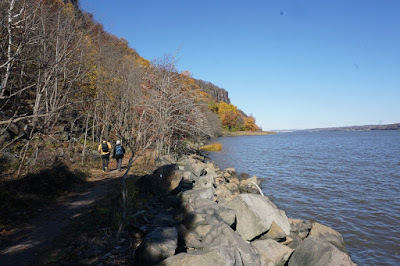 We walked along the Shore Trail north, along the side of the Hudson River, and then passed a nice seasonal waterfall along the side of the trail, and it was flowing strong. 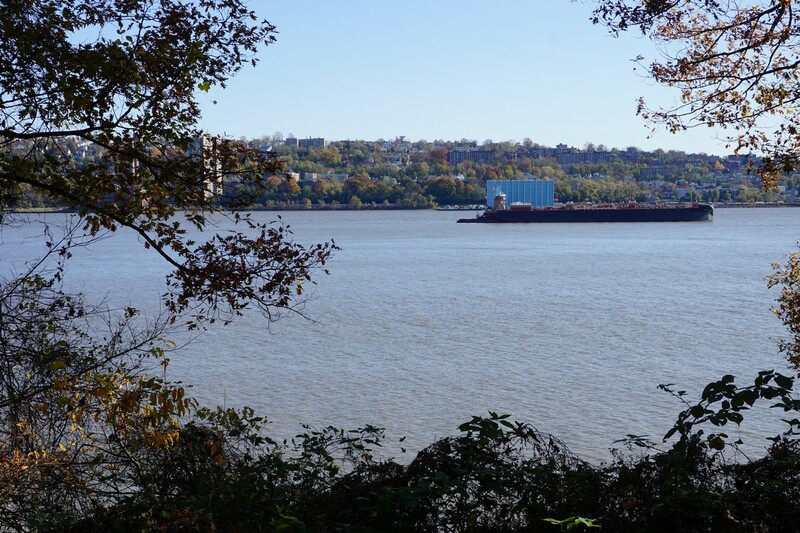 We then took a short break and some pictures at Excelsior Dock, which juts in slightly into the river, and then continued north to the Forest View Trail. 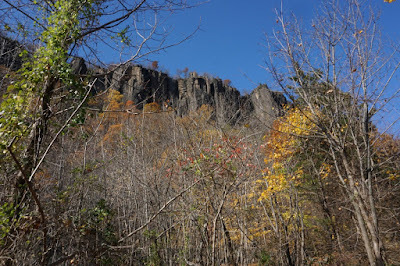 We took the Forest View Trail up the side of the cliff. 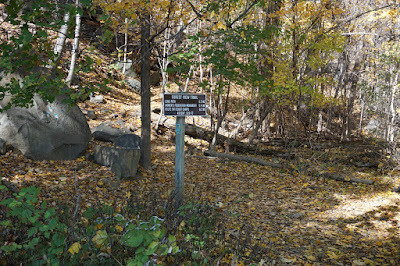 This is a steep and difficult trail. We then took this trail south at the rim of the Palisades, where it coincides with the Long Path, past the Women's Federation Monument, and then back across the pedestrian bridge to our car at the trailhead.